Tag Archive | "battery life"
I use my Intel NUC with Atom N2820 processor daily. It’s quiet, neat and runs Openelec like a dream. It was cheap too but now I’m wondering if I should have waited. 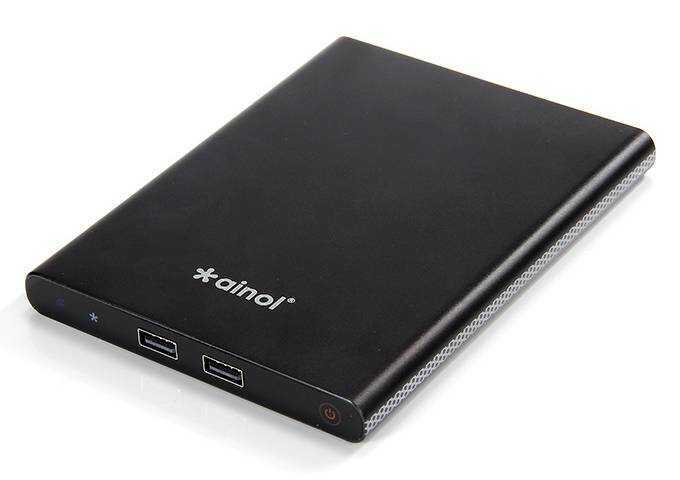 The Ainol Mini PC comes with RAM, storage, a Windows OS and a 26 Wh battery for just $129. It’s silent too! It doesn’t have a Gigabit Ethernet port but it does have USB3.0 so adding an adaptor is no problem. Retro-fitting an infra-red reciever might be a problem though and of course this Baytrail-T ‘tablet without screen’ is not going to allow for any expansion. The storage won’t be as fast as what’s possible with the SATA interface on an Intel NUC. The biggest problem I see though is that you might have problems installing your favorite Linux distro on this due to the 32-bit UEFI bug. Some tablets come with a 64-bit Windows not but you can clearly see that this 64-bit CPU is running a 32-bit Windows version on the Geekbuying sales page. Along with the Baytrail-T-based dongles these are interesting IoT-style products (and with a 3G dongle could be the perfect malicious hotspot) but until they allow you to boot your chosen 64-bit OS they’re not flexible enough. If anyone finds a similar one with 64-bit UEFI bootloader, let us know. 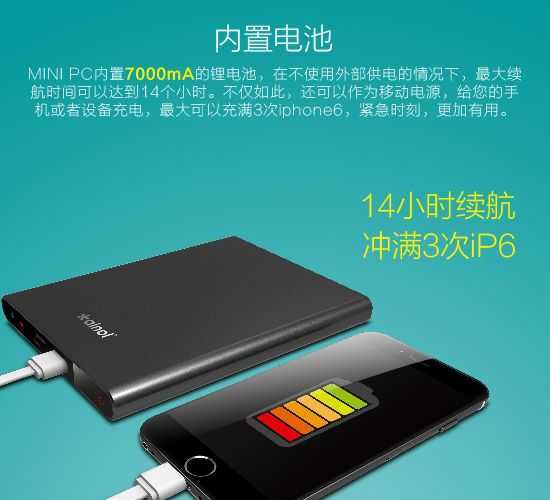 Update: Voyo has a similar product with a smaller battery. Voyo mini pc with battery. 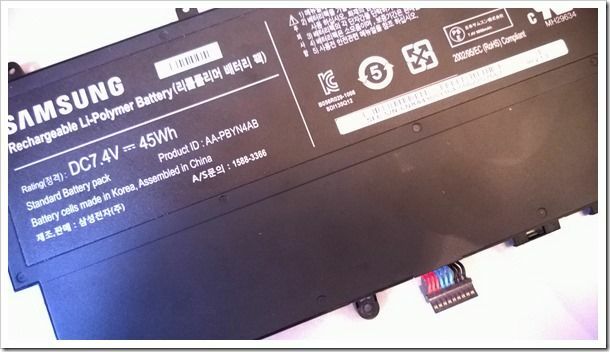 Acer E11 and Acer CB3. Both $200 laptops. 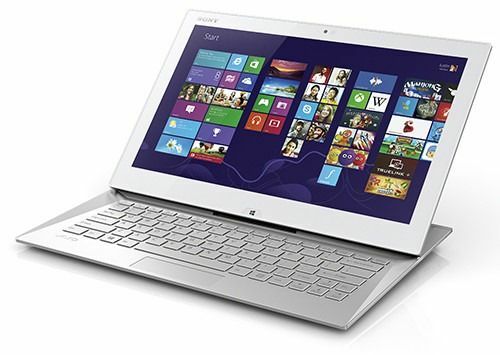 I bought an Acer E11 Windows laptop. It’s pretty much an Acer C3 Chromebook running Windows. Same N2840 CPU. Same 2GB of RAM. Same 32GB eMMC SSD. Same weight and sizing. Over the last two days I’ve tested it hard and now have my first set of thoughts about the Windows vs Chromebook experience. I’ll go deeper into this topic over time and add videos and long-term thoughts as my experience grows but I wanted to get thoughts out there as soon as possible to help people in the run up to holiday-season buying. This could be one of the most interesting market fights we’ve seen since Android and IOS. 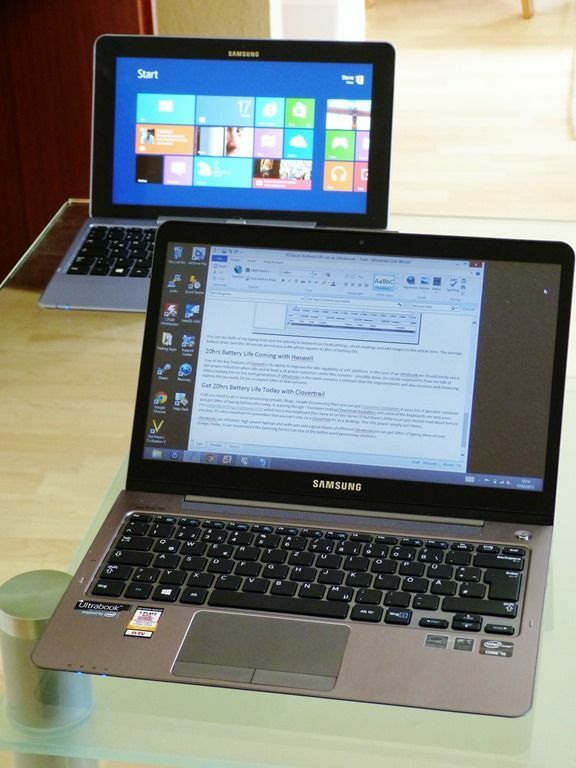 Chromebooks and the new wave of Windows netbooks fit different user types, but do the potential customers know that? 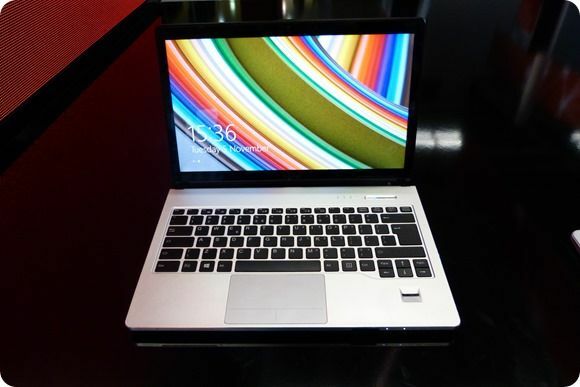 Fujitsu Lifebook S904 Hands-On. 24hrs of Haswell Goodness. It is possible to feel confident that you’ll last the day without your charger. 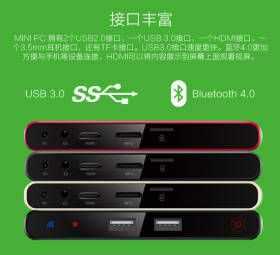 I experienced it for the first time with Haswell and with the Fujitsu S904 it’s possible you could even do a two-day + hotel stretch without a charger. 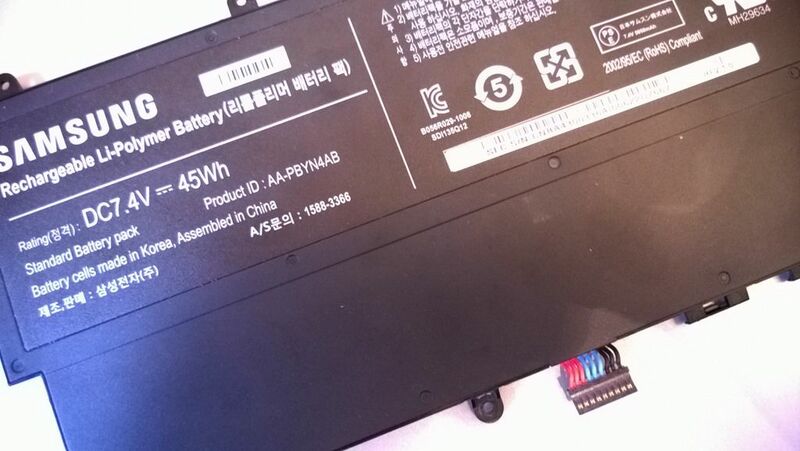 It’s not an Ultrabook because of the battery bump but at only 1.5KG it’s probably got the biggest battery / weight ratio of any laptop or Ultrabook. 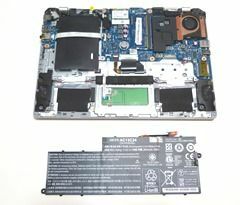 Testing power usage on Haswell Ultrabooks is difficult due to the huge range of scenarios that the next generation Ultrabooks have. They’ll stream music for days and yet if you try to do too much gaming on them, you might be out of juice in as little as two hours. 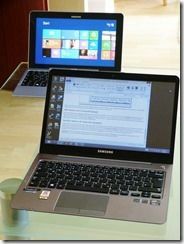 What we can say though, without a shadow of a doubt, is that the battery life on Haswell Ultrabooks, compared to Ivy Bridge Ultrabooks is hugely improved. 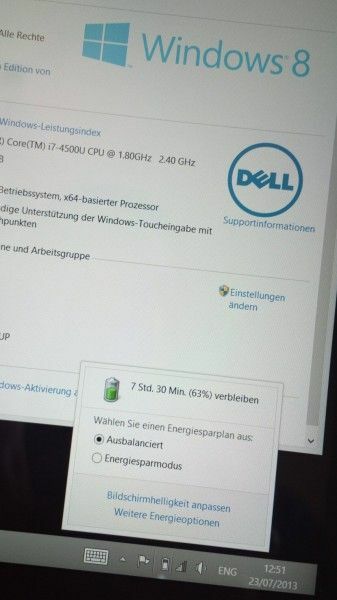 We’ve got a Dell XPS 12 with Haswell here that proves it. 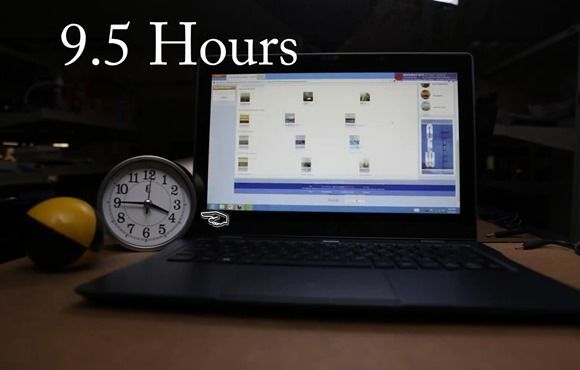 Sure, we can all get an Ultrabook to run for 10hrs. 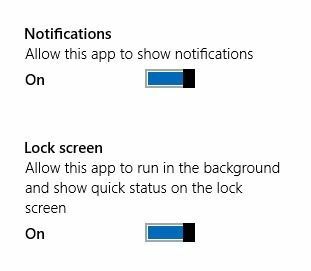 I did it myself recently when I put a Samsung through a typing test but how about being online and running web apps? Running the web through a browser is one of the most taxing things you can do to a laptop so seeing 9.5hrs runtime in a MobileMark2012 test is something worth checking out, in 60 seconds with a timelapse video. Haswell is doing the business. 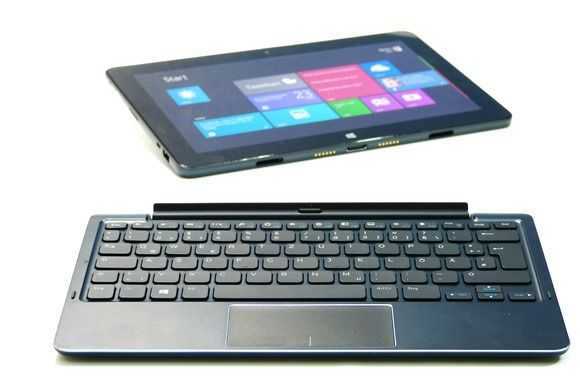 We’ve already heard that all Ultrabooks based on 4th-Gen Core (Haswell) will have to have WiDi capability and touchscreens but PCWorld have just published some more details from Intel. What’s Connected Standby? 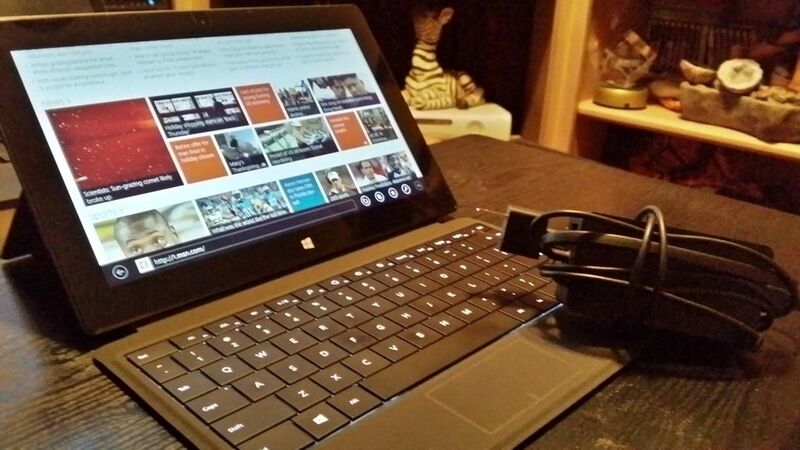 It’s the hardware and software that turns a PC into a smart device. Always on, Always Connected! You can find more information here and I encourage you to read it and to consider this ‘seal of efficiency’ for your next laptop or mobile PC which, in 2013, can only be an Ultrabook or a Clovertrail or BayTrail based laptop, tablet, convertible or dockables. 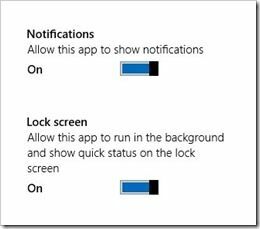 Here’s a way to check for Connected Standby, battery capacity and to view historical battery life reports. Useful to use quickly in the PC store!